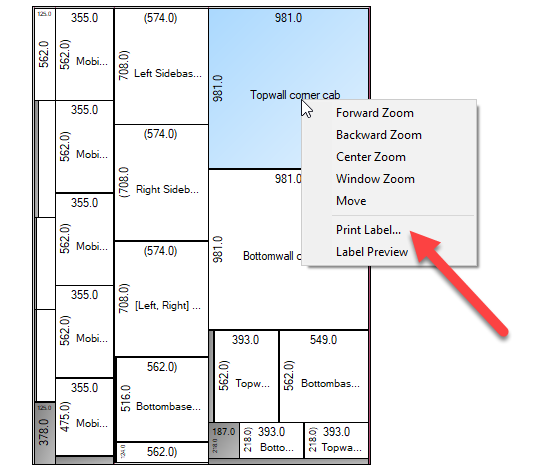 You can print a label per part by right clicking the part on the cutting map and in the mouse menu choose Print Label. 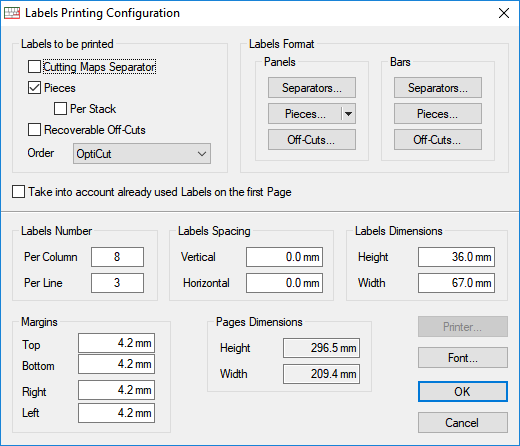 If the printer page is set up to the size of one label this will print the label of the part clicked onto one label. Tell me which file you need. Is it one pdf per label? I believe that I didn’t ask the right question. and we need to get only one label for one print job and one piece from cutting map. For piece in cutting map we need to initiate a new print job for the next label (corresponding with that piece). I found something alike on youtube, it is a plugin for Optimik called Assistant (it helps you to print from a Windows tablet) as you go on with sawing, but that sollution is not really meant for us.